Do you have to use a special roving for the long coat? I use raw fiber for my long coats. What is raw fiber? It is fiber that is just washed and not processed at all. In other words it is not combed into roving. The raw fiber is more separated like real fur. I take a small pinch and brush it before I felt it in. This gets the VM(vegetable matter..hay, grass) out. Then I felt it in the middle or on the end depending on where I am placing it on the dog. My all time favorite is alpaca. I sell it in my shop and my packages have assorted colors in them, but I also make custom orders of one or two colors or whatever people wish. The sheltie and the pom in my title area were both done with alpaca. You can always practice on a little blob of wool that has been firmly felted. If it isn’t felted firmly enough, it won’t hold the fur in. You can see all my fiber in my shop on etsy. I also have lots more not listed if you’re looking for anything special! Thanks! 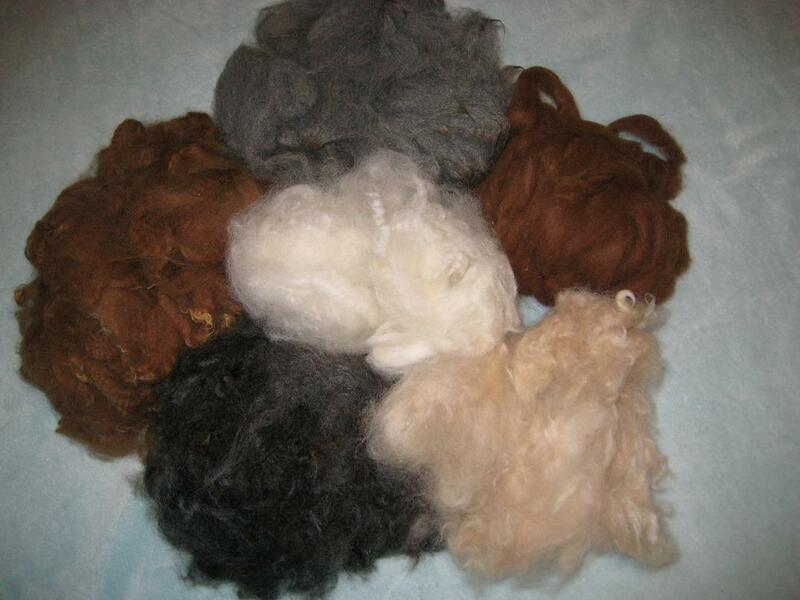 Washed alpaca fiber in assorted colors. Alpaca is fiber not wool. Wool only comes from sheep or lambs. It looks similar and can be felted very easily. It is very soft and fluffy! My favorite! I sell the same fiber that I felt with. What do they mean by wet felting? and how does one do this? Hi Karen, It doesn’t matter where you post! I look at all my new posts for the day so I see them no matter where they are! Wet felting is really wet! You wet the wool and add a little soap and rub, rub, rub, It takes a while. Make sure that it is not superwash wool or roving, This will NOT felt no matter how much you rub it! You can try felting on a bar of soap. You just lay the wool on the soap in a crisscross pattern, wrap it around and wet it and rub, rub, rub. After a while the wool will shrink onto the soap shape and you have soap with a built in wash cloth! Pretty cool! I really appreciate your definitions of different felting terms. I sometimes find a term for a product, procedure, etc. and wonder just exactly what it means. VM was one you had mentioned before, raw fiber is another. I always learn something very useful here, that’s for sure! Thank you for this helpful info. 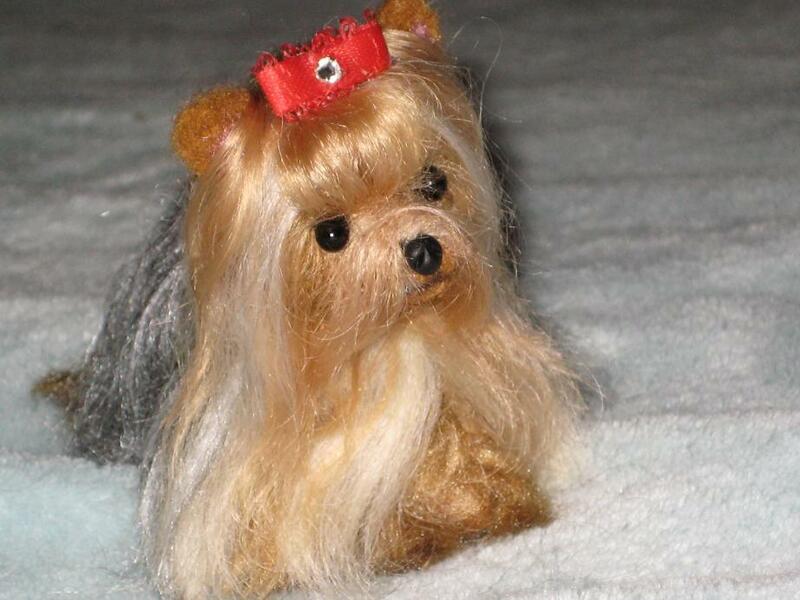 About the long haired dogs fur. The Alpaca I will check it out, the colors you have. And, if so, the cost. Thank you. Sorry but I don’t have a kit for a Yorkie or French bulldog. Thanks for your interest!